Temple Restaurant is a novelty restaurant in the destination. Located inside a 600 year old Songzhu Temple the temple sees a lot of visitors all year round. The destination includes an ancient hall of worship and factories that were constructed after the Communist took over. 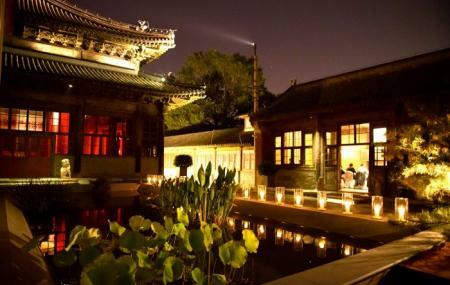 The restaurant is located in between two temples which are linked by a small structure. The ambience and the food come highly recommended by travellers. Also, visit the popular attractions in the city by following Beijing itinerary 7 days. Take the subway from South Luogu Alley. Take a bus from Huang Cheng Gen east north exit. How popular is Temple Restaurant Beijing? People normally also visit Beihai Park while planning their trip to Temple Restaurant Beijing.